14-3-3η: Useful for More Than the Diagnosis of Rheumatoid Arthritis? Background/Purpose: Chronic hepatitis C virus (HCV) infection can masquerade as rheumatoid arthritis (RA). Distinguishing between the two is important because treatments differ. 14-3-3η has been explored in RA. When combined with traditional antibodies, high titers of 14-3-3η improve the accuracy of RA diagnosis. The utility of measuring 14-3-3η is not well understood in viral infections, such as HCV. We measure the incidence of 14-3-3η in patients with chronic HCV infection with long-standing arthralgias and compare it to the incidence in patients with long-standing RA to assess its utility in differentiating the two. Methods: We recruited patients at the VA St. Louis Health Care System in St. Louis, MO, with an established diagnosis of either RA per 2010 ACR/EULAR Classification Criteria for RA or chronic HCV infection (defined as a detectable HCV viral load) with arthralgias of at least three joints. We obtained clinical information from chart review and physical exam at time of enrollment. We measured serum 14-3-3η titers with a quantitative sandwich ELISA (Quest Diagnostics Nichols Institute, San Juan Capistrano, CA), defining presence of 14-3-3η as a serum titer >0.19ng/mL. Chi-squared analysis compared the incidence of 14-3-3η in the two groups (α = 0.05). Both groups had long-standing joint disease of more than ten years. All RA patients met 2010 ACR/EULAR Classification Criteria for RA, and all HCV patients had detectable viral loads. Only two (14.3%) RA patients and 1 (4.8%) HCV patient had elevated 14-3-3η. Chi-square showed no significant association between 14-3-3η positivity and diagnosis of either RA or HCV (X2 = 0.73, p=0.39). Of the two RA patients with elevated 14-3-3η, both (100%) had RF and anti-CCP antibodies, and one (50%) had active disease, with synovitis at time of enrollment and radiographic erosions. The HCV patient with elevated 14-3-3η was RF positive. Conclusion: We show a low incidence of 14-3-3η in a cohort of patients with long-standing RA or chronic HCV with arthralgias, lower than what was reported previously. In our cohort, 14-3-3η did not distinguish between joint pain from RA or chronic HCV infection. This suggests it is not useful in patients with long symptom duration. Most of our RA cohort’s disease was controlled on therapy. Therefore, detection of 14-3-3η may be most useful early in the disease course and may be a good biomarker of disease activity. Additional studies correlating 14-3-3η positivity with disease activity and duration are warranted. Disclosure: L. Zickuhr, None; M. Pourpaki, None; M. M. Brooks, None; A. Joseph, None. Zickuhr L, Pourpaki M, Brooks MM, Joseph A. 14-3-3η: Useful for More Than the Diagnosis of Rheumatoid Arthritis? [abstract]. Arthritis Rheumatol. 2017; 69 (suppl 10). 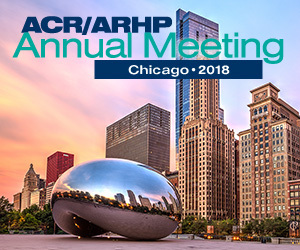 https://acrabstracts.org/abstract/14-3-3%ce%b7-useful-for-more-than-the-diagnosis-of-rheumatoid-arthritis/. Accessed April 20, 2019.